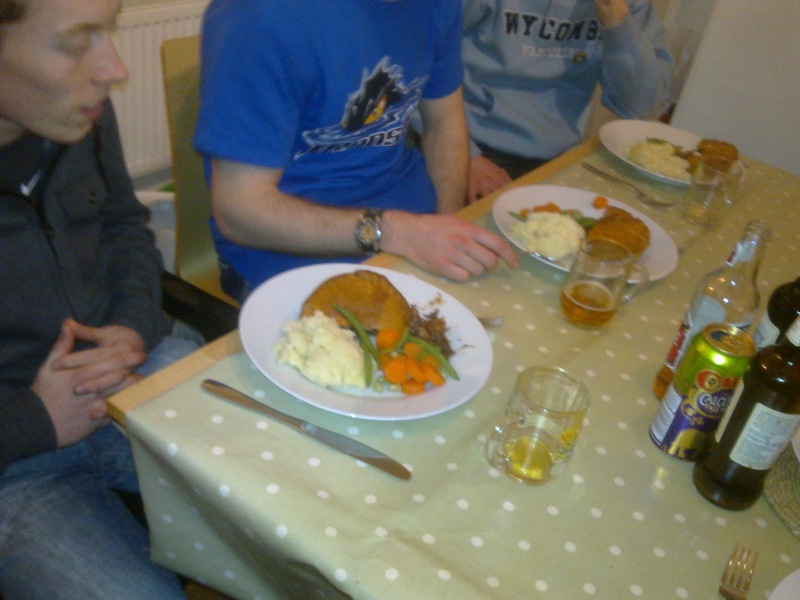 Pierate - Pie Reviews: Who ate all the (Sheffield) pies?! On quite a cold Sheffield afternoon, the lads turned up in full voice (well, I should clarify, the away fans were in full voice...) for a big League One clash followed by the main event - a pie tasting experience as recommended by one of our blog followers! 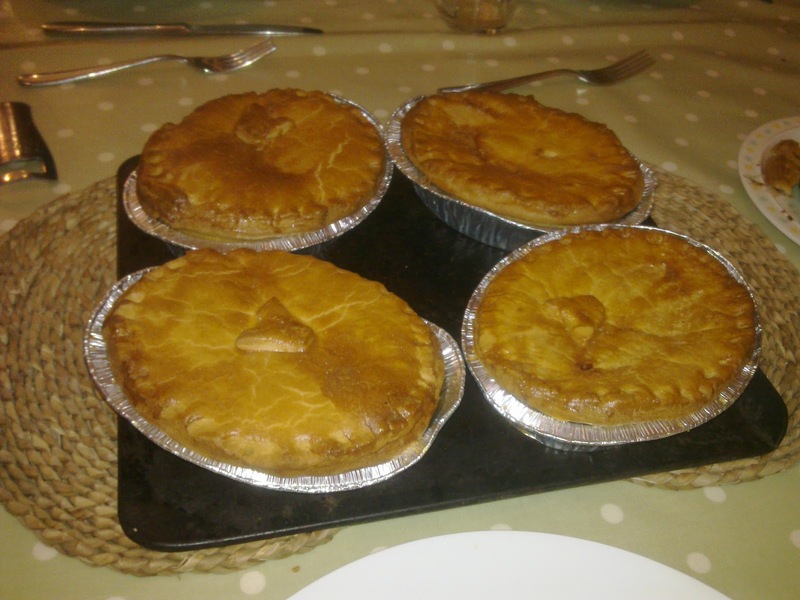 As a reminder, these pies were picked up from Chatsworth Farm Shop on the day of eating, just to ensure their freshness and provide the fullest flavour possible. Cooked until golden brown, the two Pierateers present, along with fellow football fans and our lovely Sheffield host family were all raring to go and delve into the meaty-licous content of the All Steak and Steak and Ale pies on offer. And as you can see, they were 4 large, steak filled beauties! Straight from the farm house and served up with a bit of mash and veg. 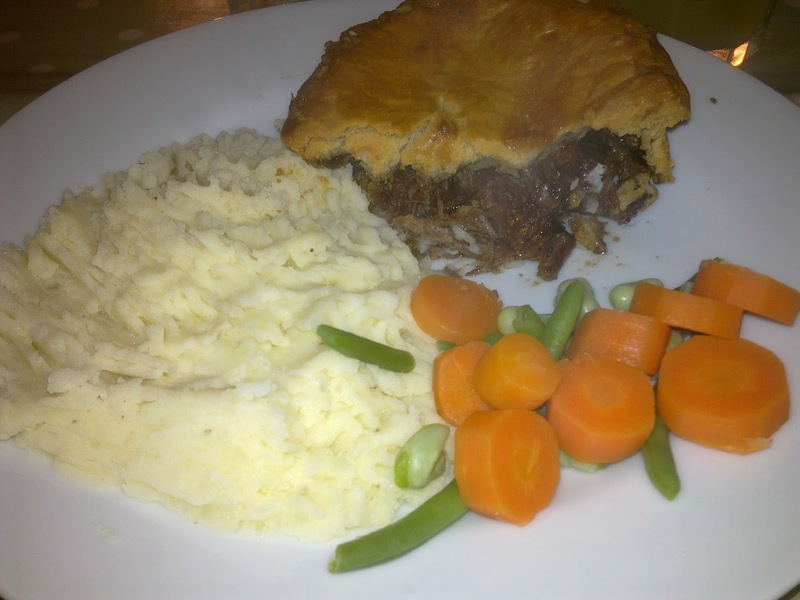 The shortcrust pastry was golden and tasted nice, and the meat was absolutely top notch quality, however the pierateers did end up feel slightly let down by the lack of gravy oozing from the pie. For, as we all know, the North of England is well known for its infamous floods of gravy - and yet that was one of the major drawbacks of this Chatsworth pie! For while the content wasn't dry, and the steak was not chewy in the slightest, there was a severe lack of gravy in the pie. Mixed in combo with the drier shortbread pastry, this left a slight sense of disappointment. However all things considered, this did not detract too heavily as the quality and quantity of the meat was spot on! The filling to pastry ratio was ideal and it certainly hit the back of the net. And you couldn't find a nicer host family in Sheffield to recommend and provide the pies for us, so a big thank you to the "A Senior" posse. And to our non-Pierateer Blues fans (Mark and Steve) who made the whole trip even more random and more enjoyable! Remember, if you want to Suggest A Pie, and thus potentially have the Pierateers turn up on your doorstep demanding a piece of your pie, leave a comment on the Suggest A Pie page!